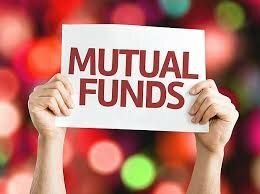 In India, investment in Mutual Funds has become the most trending option of future planning. There are lot of options available for all types of investors falling under different age categories, demanding different needs. 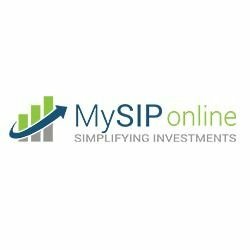 Whether you are a school or college going kid, young businessman or an employee, or even a retired pensioner, Mutual Funds in India come in all sizes and shapes to fit best to your dreams and goals, and are all available at MySIPonline . Though the entire process of making investments starting from point A to B is as easy as exercising grocery shopping, however it requires a bit of homework before stepping forward. Today, we are going to talk about a checklist drill that you need to perform before you pick any fund, so that you don’t have to later repent for your decisions. No matter who you are, whatever you do, please follow this step by step guide if ever you think of proceeding with Mutual Fund Investments. The first and foremost thing to do is to identify the purpose for which you intend to make an investment. It could be something as small as saving money for buying a new bike or a car, or anything as big as building wealth to fuel your future venture. Once you are clear with your goal, the next thing is to set a feasible budget that you could afford over your investment term. If you aren’t willing to invest a large sum all at once, then you can always resort to SIP for Mutual Funds where you have the liberty to start your investments with as little as Rs. 1000/- (Rs.500/- for some schemes) in a monthly/quarterly interval. This is again a very important part of the checklist. You can’t expect your funds to perform well in a year or two, which of course they sometimes do, as the performance of your funds totally depends upon the chosen stocks in your portfolio which is again dependent on the prevailing market conditions. Hence, it is advised that you should set the time horizon for atleast 3 or more years if at all you want to gain from your investments. Though everything written above is equally important, but picking the funds needs more attention than usual. If you do not pick the funds judicially, your investment experience might give you bruises. Hence, you can checkout all the best performing Mutual Funds listed on MySIPonline which always provides latest updates and investment tips to help you make a fool-proof investment plan. The Mutual Fund investments do not work on the principle of “Get and Forget”. Actually, to the quite contrary, it demands your regular attention and monitoring to see that if your funds are performing well, so that you could take corrective actions, wherever necessary. It is very well said by Thomas Carlyle that “A man without a purpose, is like a ship without a rudder - a wait, a nothing, a no man”. Thus, if you wish to grind out the maximum profit from your Mutual Fund investments, then you can’t afford to skip the above checklist. Also, don’t forget to stay tuned to MySIPonline for the latest updates and notifications.